The Cal Ripken Under-10 all-star baseball team was recognized for their accomplishments during their past season at Oakland’s latest City Council meeting. Council member Desley Brooks, who represents East Oakland, put the item on an agenda largely dominated by a proposal to deal with the city’s issues over its parking policies. Brooks said she wanted to congratulate the inner city Oakland baseball team for its successes on the field. After winning the Northern California State Championship, the undefeated team traveled to Beaver, Utah in the last week of July for the regional tournament, where they ended up taking second place. Brooks presented recognition to team members present at the meeting, including some of the players on the team, the coaches, and the Cal Ripken league president. “The trip for them was a great eye opener. It was a learning experience because in Beaver, Utah, there are very few minorities. They were there for the entire week without seeing anyone of their color,” said Louie Butler, league president for Oakland Babe Ruth Cal Ripken Baseball. As part of the regional tournament, the fifth and sixth graders on the team were able to play against teams that represented many other cultures, including teams from Hawaii and Guam. Prior to the meeting’s start, one team coach, Luther Couch, said he feels the inner city team needs some exposure, which will be offered from the council’s recognition. “People think that inner city kids don’t play baseball anymore. Most of the teams that are playing on ESPN are white teams,” said Couch. In addition to giving the team exposure, the coaches feel the recognition will teach their players to have pride. “When they get noticed by people, [other] than their parents or peers, it makes them want to do more and be better,” said Sam Taylor, coach and manager of the team. Mc Kinley Clemons, who is on the team, said he really appreciates the recognition by the city council. He said that he is honored they realize the hard work that the team put in to achieve their goal. The experience of this season taught those on the team a lot about themselves and their abilities. “We really learned discipline. We had a precise schedule. They were like, ‘Get up at eight A.M., eat breakfast, get dressed,’ things like that,” said Clemons. Part of the reason for the team’s success is that they do not stop coaching after the kids leave the field. Team members have schedules and rules that they must do their best to comply with. “Our goal each year is to make sure that each youngster not only plays baseball but also obtains certain grade point averages. So, we check grades and make sure that their GPA is up to standard,” said Butler. If the kids do not maintain a grade point average of at least 2.5, they cannot be a part of the all star team. The league does provide tutors in order to help the kids. “I can say, truthfully, that all of the youngsters that did go on this trip had good grades, most had a 3.0 or better,” said Butler. According to Butler, for the entire team to have grades worthy of a 3.0 grade point average, it took a lot of hard work and dedication. This commitment ended up being one of the main reasons that the team was able to be so successful in Utah. “We lost the first game of the regional tournament, 23-0. We came all the way back from the loser’s bracket to the championship and beat the team that beat us, 7-4. That made the whole tournament because the kids after that did not give up,” said Taylor. “In Beaver, Utah, this year, we came from a loss and we fought and fought and fought until we got to the championship series. Being able to win that first championship game was probably one of the best experiences I have ever had,” said Clemons. “When you can come back from a whooping like that and beat the team that whooped you, then you just had a monumental moment in itself. It showed me they all had heart,” said Taylor. The team did not lose a game until the first game of the regional tournament. Their record is 23-3 combined over the past two years. 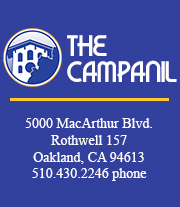 Despite numerous attempts, The Campanil was unable to get a hold of council member Desley Brooks for comment. This is awesome for so many reasons! Congratulations to each of you! But most important because my lil cousin Damani is on the team!